Salt and Pepper in Monmouth, South Wales is an award-winning Cook shop, Gift shop, Clothes shop, Toy Shop and Coffee shop which has been growing from strength to strength in both size and reputation since its opening in 2000. We have a passion for quality and service which form the cornerstone of our business and we want to share this with customers who may not be able to visit us directly because of time or distance constraints. There is so much to see in our shops that you could quite literally spend the whole day discovering fantastic gifts, great kitchen gadgets, toys for all ages to play with and fashions to die for, stopping for a refreshment break in the coffee shop to keep you going. The unique taste of our specially blended coffee can also be bought via this website. We want you to share in our passion, product knowledge and advice by using our website. If you need to speak to someone during the day we are at the end of the phone. You can make purchases over the phone if you prefer or even set up a Wish List for a special occasion or Wedding List. Our history in the catering business goes back many years with Brenda Elsmore, the owner and driving force behind Salt and Pepper, starting her career in the family business as a Master Baker and professional cake decorator. Her change of direction into retail led to the shops on the main shopping street in the busy market town of Monmouth, just on the border of England and Wales. 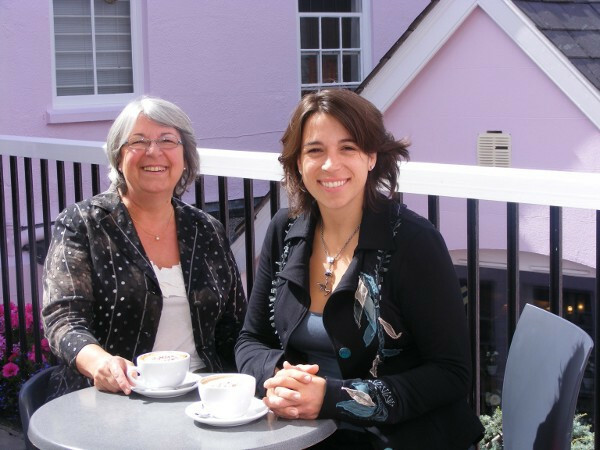 In 2006 Brenda's daughter, Catherine joined Salt and Pepper and together they bring their knowledge, experience and enjoyment to this exciting venture. Brenda opened the Cook Shop in 2000 stocking everything from teaspoons to Kitchen Aid food mixers and including large selections of Aga, Wusthof, Sabatier, and Bridgewater Pottery ranges and many more. In 2001 the Cookshop won the Excellence in Housewares award for most promising newcomer into the business, numerous awards for service and style have been achieved; the latest being Independent Retailer of Wales. In 2000 expansion into the building next door created the Gift Shop, selling gifts for just about every person for every occasion, from newborn babies to those difficult-to-buy-for men from a wide array of jewellery, cards, toiletries, collectables, homeware and glassware. In 2005 and 2007 we were awarded Gift Shop of the Year in Wales. An opportunity to repair the Cider Mill between the Cook and Gift shops created the The Courtyard which was originally designed to house our Clothes Shop (now located opposite at No.38 Monnow Street). The Courtyard is now an extension to the Cookshop enabling a growing variety of stock to expand even further. In August 2009 the Toy Shop opened giving a treasure chest of children's toys. A vast selection ranges from pocket money pick-ups to heir loom pieces, value is seen in traditional games, education toys and, of course, up-to-date must-haves for the school playground and parties. In September 2013 Salt and Pepper had the opportunity to acquire a vacant shop directly opposite the Gift Shop. After extensive refurbishment this has now become our Clothes Shop, renamed No.38. Customers have a varied selection of quality ladieswear including Nicole Farhi, Armani Jeans, Odd Molly, Save the Queen, OSKA, InWear and Masai. Shoes are also key within Salt and Pepper as we are an Authorised dealer for UGG Australia and Hunter Wellies. We also stock Ravel and Ruby Shoo. Mens wear joined the range in Autumn/Winter 2014. Investment in the training of the staff team over the years has resulted in excellent customer service and we certainly can advise on the tricky details when choosing a set of chefs' knives or a suitable coffee machine or the best equipment to use to slice a bean! We won't sell an item which firstly we do not think you need and secondly won't perform the job you want it to. Customers should always know they will receive honest opinions and advice from our sales team because at the end of the day they will not come back to us if they have been mis-sold a product. Customer satisfaction is the key to our business and its reputation. Our aim is to provide a superb service for all our customers. This means that the ranges available from our online cookshop include our selection of the best products available from the point of view of value for money or the most suitable for the job. We are not prepared to sell any item we could not recommend or use ourselves. Design and style is also important and we always keep up to date by regular visits to trade shows and suppliers.